Celebrate Valentine's Day with your loved one at this unique food demo and candlelit dinner. Learn the best ways to cook wine during this five course small plate meal. Celebrate Valentine’s Day with your special someone at this unique dinner experience. The evening will include special demos, a candlelit dinner, wine pairing suggestions, and tips/techniques in cooking with wine. While we will be cooking with wine, we are unable to serve. You are more than welcome to bring your own, though! In fact, it is encouraged! The menu will be posted closer to the night, but it promises to be a tasty experience! 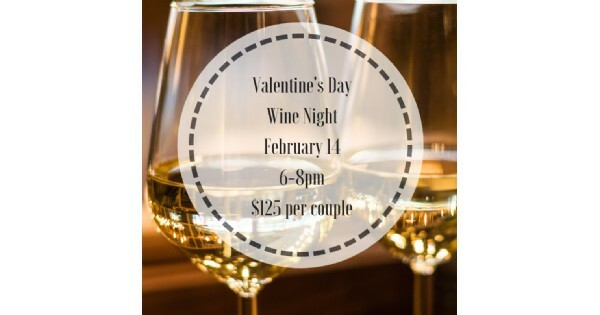 Find more events like "Valentine Dinner and Wine Night"
Once Upon a Thyme is a bookstore, specializing in cookbook, unique kitchenware, and culinary classes.